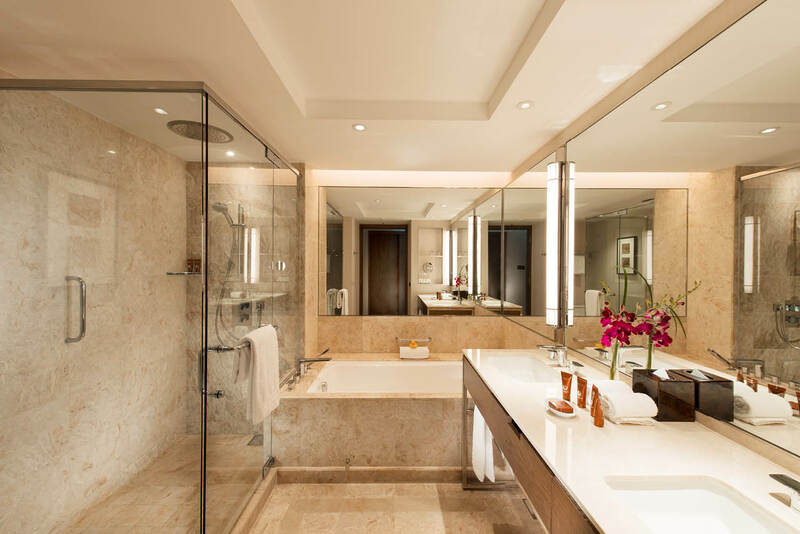 Conrad Centennial Singapore has quietly but confidently asserted itself as a bastion of elegant hospitality in the heart of the Lion City, combining a dress-circle location at Marina Bay with an easy sense of intimacy revered by guests both loyal and new. 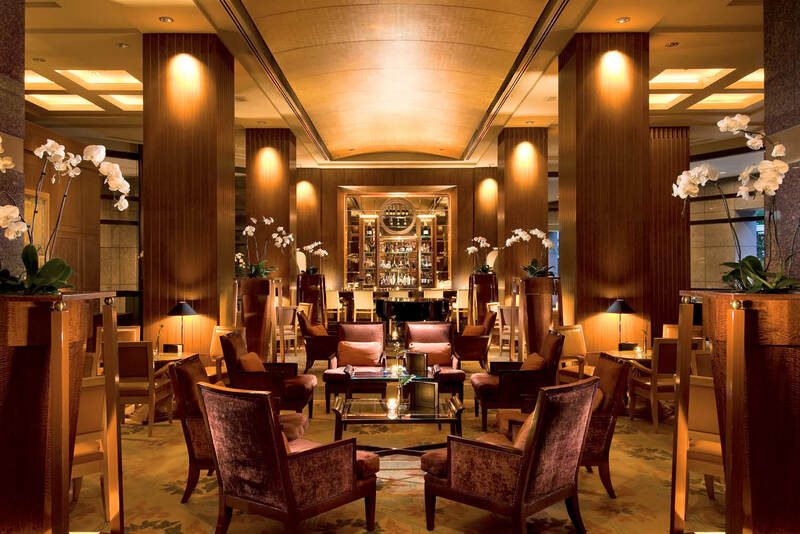 The renowned hotel has recently embarked upon a significant facelift; engaging renowned luxe hospitality design outfit, Jaya Interior Design to reimagine 511 rooms (some of Singapore’s largest), suites and bathrooms to bring the hotel firmly up-to-date (and beyond) with the latest in design, comfort, technology and style. While there are plenty of fantastic sights right outside your door, it may prove difficult to pry yourself away from the comfort of your newly refurbished room. Singapore conjures up many images; spacious hotel rooms are not necessarily one of them. But here, where the rooms start at 40 square metres, ample breathing space is just the beginning; a beautiful canvas for the new redesign, which hinges upon a modern reimagining of how travellers actually use their space. For example, the Conrad’s new rooms boast comfy daybeds complete with movable tables – allowing you to seamlessly transition from work to ‘chill’ mode in seconds. And little luxuries have been so thoughtfully incorporated throughout, it’d be easy to take them for granted: like the sensors which activate electricity in the rooms; or the 55-inch wall-mounted HDTVs that compete for your attention with stellar views over the glimmering Singapore skyline, perfect for appreciating over an in-room Nespresso. All this is anchored in the new, harmonious room design, which blends Asian elegance with contemporary clean lines and neutral colours to create a soothing aesthetic. The marble-clad bathrooms are, again, spacious and dial up the luxe factor with luxury branded bath amenities; choose between a relaxing bath or rain shower, pamper yourself with your choice of lotions and envelop yourself in a yukata (traditional summer kimono) or plush bathrobe before selecting your pillow of choice from the extensive pillow menu (complete with 15 options for firmness) and settling in for a blissful night’s sleep. 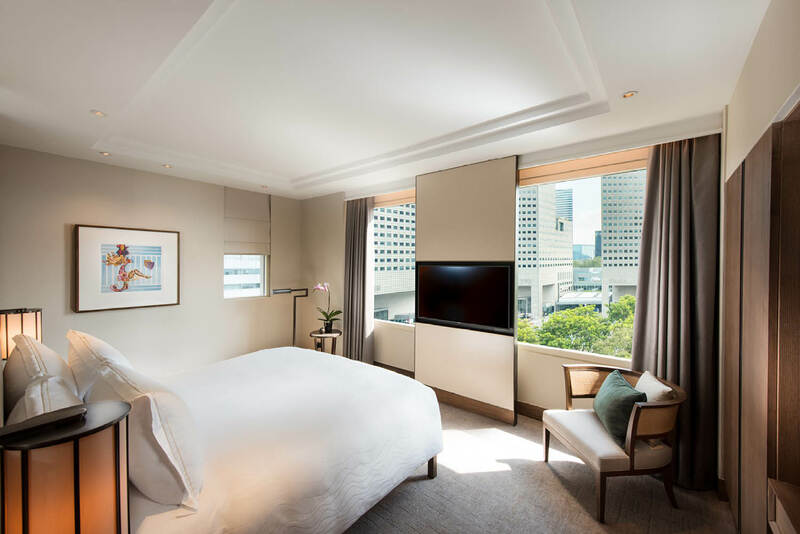 A daily turndown service will see you happily returning to your haven in Singapore after a productive day’s work or an action-packed day of sightseeing. When it comes to sightseeing, of course, The Conrad Centennial’s location is unbeatable: right on the pulse of vibrant Marina Bay, the hotel boasts direct access to over 1000 retailers and over 300 dining venues just begging you to eat, drink and be merry. Just 16 minutes from Changi Airport, it’s also a quick trip to Sentosa Island, where everything from beaches to beautiful nature walks, historical coastal forts and waterparks await. Plus Gardens by the Bay, the Singapore Flyer, the National Gallery Singapore, Marina Bay Sands and many other top attractions are also within easy reach. Don’t miss Conrad’s signature 1/3/5 experiences, which have been carefully curated to maximise your time in the city by suggesting activities to suit your time and tastes – from rooftop sundowners to sartorial spending sprees, or eating your way around the biggest and best hawker centre Singapore has to offer. 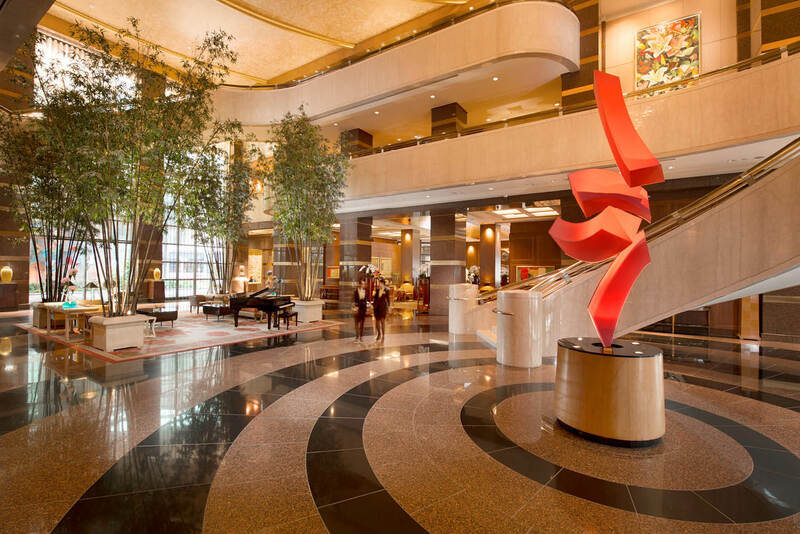 Whatever you’re in town for, Conrad Centennial Singapore has positioned itself to be your home away from home in the heart of Singapore, ensuring that you stay inspired during your time in this dynamic, dazzling city. Conrad Centennial Singapore is offering a special promotion of up to 20% off. Book from 5 December 2017 till 18 January 2018, for stays from 7 December 2017 to 31 December 2018.